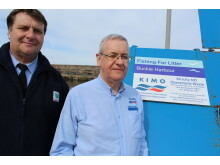 Called ‘Fishing for Litter’, the initiative in Moray is run by KIMO UK in partnership with Moray Council and the Scottish Government. KIMO UK (Local Authorities International Environment Organisation) is an association of local authorities whose goal is to eliminate pollution from the Northern Seas. As part of the initiative, a skip has been sited on one of the piers at Buckie to enable fishing vessels to dispose of any sea litter they collect in their nets whilst at sea. 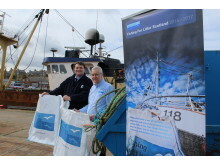 Large, tough bags are available free of charge to fishing vessels to collect and store the rubbish until they arrive at a participating harbour, when it can be thrown in the skip. The project covers the entire coastline and aims to reduce the impact of marine litter on the fishing fleet (currently costs around £10k a year for each boat), Plastics cause the most harm to marine wildlife. Studies have shown that 96% of Fulmar sea birds have plastic in their stomachs and work by Plymouth University has shown an alarming prevalence of ‘microplastic’ particles in the sea which are taken up by filter feeders. 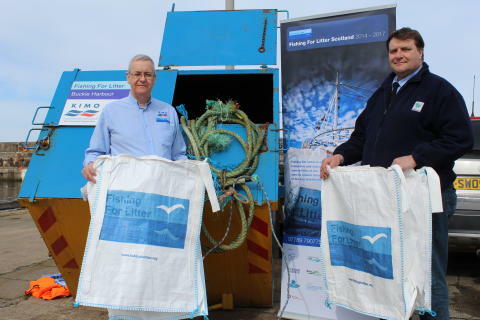 Including Buckie, Fishing for Litter is now operating in 15 Scottish ports; Eyemouth, Peterhead, Fraserburgh, Scrabster, Lerwick, Cullivoe, Scalloway, Kinlochbervie, Ullapool, Tarbert, Campbelltown, Rothesay, Isle of Whithorn and Kirkcudbright. So far six Buckie-registered vessels have signed up to the scheme. They are: Regent Bird (BCK110); Heather Sprig (BCK181); Caledonia II (BCK35); Eschol (BCK65); Rival (BCK73); Homeland (BCK225). 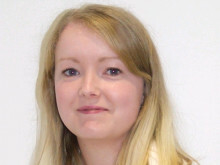 Application forms to join the free scheme are available at the Buckie harbour office. 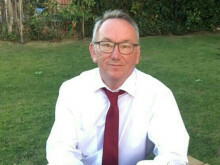 Ships that bring sea litter back should report it to the Buckie Harbour office before dumping in order that it can be recorded and the skip opened. The harbour office is open 24/7. Notices will be placed at Moray’s other ports highlighting both the scheme and the facility now in place at Buckie. More info on KIMO is available on their website here.